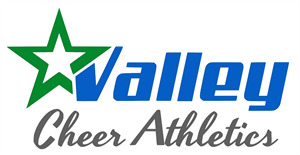 Welcome to Valley Cheer Athletics! This form is used for various classes from birthdays, camps and tumbling, as well as allstar cheerleading. Annual Early Registration discount of $25 is only available until June 15th (sorry no exceptions). Please click Submit when your registration is complete after which you will receive an email confirmation. All payments as indicated must be provided to the gym at time of registration. Taxes are included in all fees listed. Please select the level of cheer you are registering for. You will be notified of final team placements by the head coach. The below includes the participant(s)' agreement and informed consent form for Valley Stars Cheer Limited and BC Cheerleading Association. Please note that some items refer to those registering for competitive allstar cheer and do not apply to tumbling or camp registrations. I understand that agreeing to the below I am agreeing to all club policies. Annual registration fees include insurance and administration fee (practice gear also included for allstar teams). I understand that all teams are subject to enrollment numbers as well as skills assessment for any team higher than Level One. I also understand that each allstar level has mandatory tumbling and cheer skills that my athlete must meet before being permitted to join the team. I understand that competitive teams are a ten month commitment. The age of the athlete as of August 31 will be the age used for competition purposes. Registration Fees are non-refundable and due at time of registration. The cheer season runs from September through June. Tuition is due on the first of each month. Post-dated cheques must be supplied for September-May. June must be prepaid with September and October fees (50% due each month). Any accounts paid after the tenth of the month will be assessed a $45.00 late fee. There is a $45.00 returned cheque charge for any cheques returned by the bank. Anyone unable to complete the season must give one month written notice. All holidays and breaks (summer, fall, winter, spring) have been factored into the monthly tuition price. Please do not consider holidays and breaks as "missed classes" and request compensation. Please use breaks to schedule your rest and vacations. This is a TEAM sport. All competitive teams (prep, levels 1-5) require 100% participation. While circumstances can arrive where an athlete must miss a practice, continued or numerous absences can result in an athlete's removal from the team. While these situations are rare, it is imperative for both athletes and families to understand that 100% commitment is required. All deposits and payments made are forfeited in the event an athlete is removed from a team. A crossover is when an athlete is on more than one team. Anyone wishing to register for an additional team must be approved by the Head Coach. I understand that if the position is accepted, my athlete must pay an additional monthly crossover training fee, additional competition fees and possibly a different uniform. I understand that it is mandatory for my allstar athlete (level 2 or higher) to attend summer camps with Skill Building in July and Choreography in August. Summer camp fees are due upon registration. I understand that participation by all competitive athletes at all scheduled competitions is mandatory. A preliminary schedule of competitions is available at the time of registration. Any athlete missing a competition will be immediately dismissed from the team without any further notice and is not eligible for any refund of fees. Competition dates are beyond our control and may be subject to change. Competition fees and exchange rates are also not all known at the time of registration and are subject to change. Any additional fees are due immediately upon notice. Competition fees are due by post-dated cheque at time of registration. 50% of competition fees are due October 1st and 50% due November 15. All competition fees are non-refundable after October 31 as they have already been sent into events. I understand that if we leave the club, all money paid will be forfeited. Uniforms are required for all teams and include cost of top, skirt and bow. Cheer shoes are mandatory (competitive teams only) and are not included. Uniform fees are due by post-dated cheque at time of registration. 50% due September 15 and 50% due October 31. Uniform will NOT be given until paid in full. Athletes will not be permitted to perform without a full uniform. If your athlete requires a new uniform or is moving to a new level please let us know so that they can be placed on the sizing list. Choreography fees are paid per athlete and are built into summer camps for Levels 2+. Accordingly, if you are a NEW member and have not attended summer camp, choreography fees must still be paid. In addition, team music can cost anywhere from $500-$1000 per team and is not included in summer camps or choreography fees. Music and Choreography fees are due October 15. I understand that my athlete is part of an allstar/elite cheerleading team and that while all efforts are made to outline/include all training costs at the start of the season, additional training costs may be needed by my athlete(s) team throughout the season that are not included in the regular monthly fees and I agree to pay these fees as soon as notified (typically not more than $35). In order to keep cost levels to parents down, there are a number of fundraisers throughout the year to participate in. Athletes and parents are strongly encouraged to participate in team fundraisers. Fundraisers throughout the year are operated for the team members to raise money for uniforms, competition fees, travel costs (excluding meals), etc. 10% of all fundraising dollars are allocated to our equipment upgrade fund, the remaining 90% is credited to athlete accounts. Any payouts require 30 days notice. I understand that funds CANNOT be used for any training fees (eg. monthly fees, tumbling, etc). I understand that if we leave the club for any reason, all money raised will be forfeited. Fundraising balances are available upon request and upgraded quarterly on the participant's Jackrabbit account as a memo. Amounts are NOT transferred to athlete accounts without written authorization. I, as the parent/guardian of the participant named herein, give my consent for my child/children named herein, to participate in cheerleading which may result in personal injury (including but not limited to: injury to bones, joints, ligaments, muscles, tendons, internal organs, and other aspects of the skeletal system and potential impairment to other aspects of the body, and in rare occurrences, death, complete or partial paralysis or brain damage) and property damage or loss. The definition of participating in a cheerleading program includes but is not limited to: it is an activity that uses organized routines made up of elements from stunting, gymnastics & dance to cheer on sports teams at games and matches or as a competitive sport. I fully understand these risks and give my son / daughter permission to participate in a cheerleading program. I hereby grant to the BC Cheerleading Association the right to use, without payment of any fee or charge, any written information, photograph, video tape or other visual media of my son/daughter taken during a BC Cheerleading Association sanctioned event for the purpose of furthering BC Cheerleading Associations objectives. I further grant to Valley Stars Cheerleading the right to use, without payment of any fee or charge, any written information, photograph, video tape or other visual media of my son/daughter taken during Valley Stars events including competitions and club activities.